Neymar’s huge salary package at Paris Saint-Germain has been put out by Football Leaks. The 25-year-old is just behind Carlos Tevez, as the world’s highest-earning player. 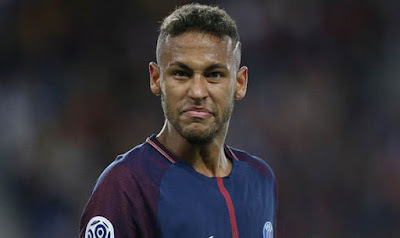 Neymar completed a world-record €222million move to Parc des Princes from Barcelona in the summer, but is also pocketing big sums weekly at his new club. Football Leaks affirms that the Brazilian earns just over €3m a month in Ligue 1, a figure that works out as a total annual salary of €36.8m. To put the number claimed by the controversial outlet in perspective, Neymar earns €100,000 a day, €4,000 an hour or a staggering €66 a minute. Only Tevez, currently in the Chinese Super League with Shanghai Shenhua, takes home a bigger wage, with reports suggesting the Argentine will earn €38.4m from his first year in Asia.